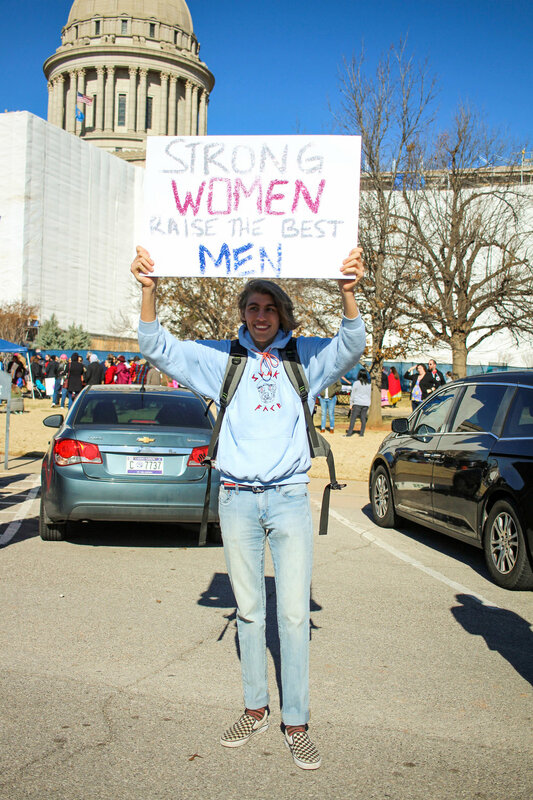 This past Saturday, Emily and I had the opportunity and the calling to attend the 2018 Women's March OKC at the state capitol. If you follow us regularly, we hope it is clear that feminism is an integral part of our identity as individuals and as a business. There are a lot of issues we are passionate about, but this is one of our primary driving forces. So we packed up Emily's dog Charlie and set out. En route to the march, we played a personally curated girl power Spotify playlist (featuring a range of our favorite women in pop). We have shared this playlist and recommend playing it when you need a reminder what you are capable of. It is a collection of good anthems for boss women everywhere. 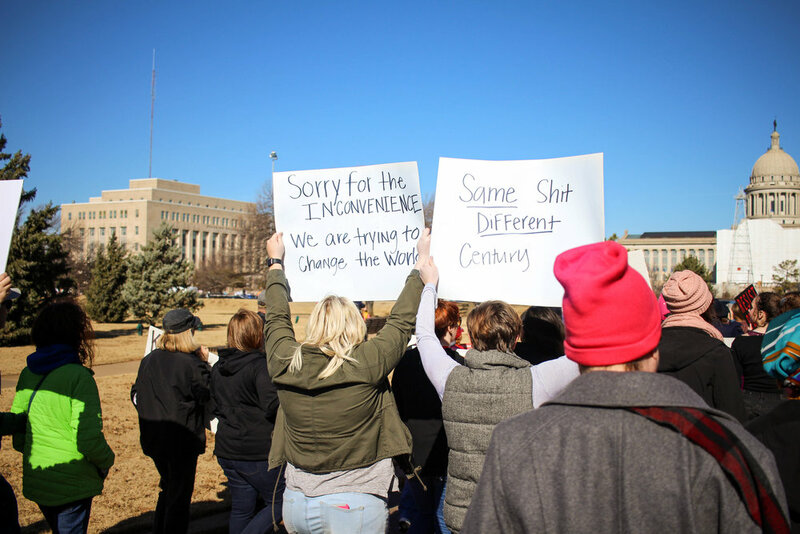 Almost 5,000 people showed up to the OKC march, and I've never been so happy to see a crowd. Of course there was a huge female turnout, but we were heartened and touched by the number of men who marched too (including our friend, Nathan, who marched beside us). It was incredibly powerful and moving to see so many people from so many backgrounds unite together for one cause. There was so much support for each other, and we honestly didn't witness a single moment of disrespect or intolerance. In a world where our news and social media feeds are filled with negativity, it was such a relief to experience peace, kindness, and empowerment all day on Saturday from thousands of people. As we were leaving, we met a woman who was wearing a pin from a 1980s women's march, and here again in 2018 to continue driving progress. I didn't catch her name, but she stuck with us, and we remain inspired by her lifelong devotion to this cause. I have two four-year-old nieces, and I know that what I do today helps secure their futures, and I can commit right now that I will be here to fight for women's rights next year and every year thereafter that I am needed.